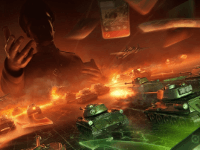 The long development process for the browser and mobile based TCG for World of Tanks is finally entering closed beta. Get a preview of World of Tanks Generals. Wargaming announces a playerbase of over 100 million across its multiple platform offerings of World of Tanks.